Be the first to share your favorite memory, photo or story of William Edward. This memorial page is dedicated for family, friends and future generations to celebrate the life of their loved one. Mr. William Edward “Bill” Fannin, age 91, of Ashland, Kentucky, passed away Sunday morning, April 7, 2019, at his daughter’s residence surrounded by his loving family. He was born December 24, 1927, in Boyd County, Kentucky, a son of the late Frank and Ollie Crum Fannin. Bill was a proud veteran of the United States Navy and returned from service to work as a truck driver for more than 40 years. He entertained his family with stories of his travels throughout North America, and then spent his retirement traveling with his wife Nan to many of those locations, but especially to gospel concerts and to visit their children and grandchildren. In addition to his parents, he was preceded in death by his wife of 66 years, Nannie Lucille Webb Fannin; two brothers, John Fannin and Frank Fannin; and one sister, Mary Stewart. 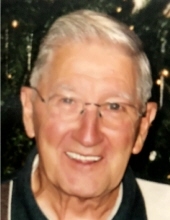 Bill is survived by two sons, Kyle Fannin (Lyann) of Versailles, Kentucky, and Keith Fannin of Proctorville, Ohio; two daughters, Kim Moore (Chuck) of Cincinnati, Ohio, and Kelly McMeans (John) of Ashland, Kentucky; seven grandchildren; five great grandchildren; and three sisters, Ethel Salyers (Denny) of Ashland, Kentucky, Edith Sargent of Morehead, Kentucky, and Ann Hammonds of Grayson, Kentucky. He also leaves many other family members and friends who will sadly miss him. A joint Celebration of Life service will be held for Bill and Nan from 12 noon to 2 p.m. Saturday, April 13, 2019, at Grayson Funeral Home & Cremation Services, 49 McCoy Road, Grayson, Kentucky 41143. In lieu of flowers, the family request that memorial contributions may be made to Community Hospice of Ashland, Kentucky, in memory of William Fannin. To send flowers or a remembrance gift to the family of William Edward "Bill" Fannin, please visit our Tribute Store. "Email Address" would like to share the life celebration of William Edward "Bill" Fannin. Click on the "link" to go to share a favorite memory or leave a condolence message for the family.